The Disappearing Girl should be required reading for all teenage girls. This book is about a young woman and her constant struggles with self acceptance. After the loss of her father, Kayla's life seems to spiral out of control. Things that used to bring her enjoyment no longer do. Her already hard to please mother becomes a downright tyrant. And her self image plummets. In order to cope with all of the changes, Kayla develops some seriously unhealthy and dangerous habits. In the midst of her self destruction, Kayla meets Cameron. Cameron is pure literary perfection. He is everything that a girl could ask for in a boyfriend and everything that a mother could ask for for her daughter...and more. Despite Kayla's many attempts to push him away, Cameron sticks by her along with her younger sister Lila and her best friend Britney while slowly but surely Kayla comes to grips with the fact that she has a problem. 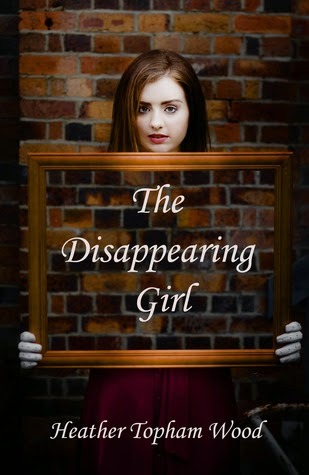 The Disappearing Girl was such a powerful hard to read kind of book. I spent the majority of the book not knowing how to feel about it. It wasn't until I was more than halfway through that I realized that I had been reading it for hours and I was hooked. I especially liked the ending. After witnessing Kayla struggle so much, to see the fun healthy banter between her and Cameron was such a joy to read. I cheered for each of her victories. My favorite quote from this book is "This disease is ugly. Kind of ironic, I guess, since we're doing it to be pretty." The Disappearing Girl will definitely pull at your heart strings but it's a very intimate look into a subject that a lot of us know very little about. READ THIS BOOK and then, if you have teenagers, pass it on to them!